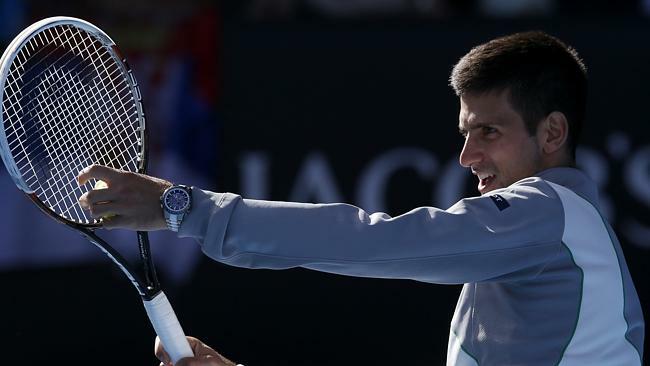 Sweltering temperatures in Melbourne may have tested the staying power of many of the world’s leading tennis players but the cream has yet again risen to the top in the men’s draw as all the big names of the court have made it to the quarter finals of the Australian Open and the tournament is gradually reaching boiling point. Novak Djokovic has steamrollered his opponents in his own inimitable style and safely cemented his place at the head of the betting to win a fourth consecutive crown Down Under and the Serbian is a best-priced 8/11 to lift the coveted trophy at the weekend, but Nole will definitely have to produce his best tennis with the usual suspects breathing down his neck. Rafael Nadal is another who has excelled in the event so far and has breezed into the last eight without any alarms and he is next in at 5/2, whilst four-times winner Roger Federer dispatched the highly-rated Jo Wilfried Tsonga to book his place against Britain’s Andy Murray, who was made to work in his latest eliminator and won in four sets on Monday. Whilst Djokovic and Nadal should come through their quarters against Stanislas Wawrinka and Grigor Dimitrov respectively, the other two quarter finals should be a titanic couple of clashes with the aforementioned Federer and Murray set to serve up a real crackerjack, whilst the final match will be between the diminutive Spaniard David Ferrer and Tomas Berdych, who are both capable of sparkling in the Melbourne sunshine. Things may be going as expected in the men’s draw as the elite continue to dominate the division, but the women’s section saw a major shock in the fourth round when Ana Ivanovic produced a career-best display to get the better of red-hot favourite Serena Williams to send shockwaves through the tournament and make it a wide open betting heat. Ivanovic may have gained the huge scalp of Williams, who was an odds-on jolly for the tournament, but the Serbian stunner is available at 7/1 with various firms to land her first Australian Open and the bookmakers have duly cut Victoria Azarenka to favourite, as she looks for her third win on the spin at the first Grand Slam of the season. An 11/10 shot with Bet Victor, Azarenka will face some tough tests in her quest to land the hat-trick and Li Na has been flourishing of late and should book her semi-final place with a comfortable success over Flavia Pennetta and the 3/1 second favourite will be desperate to make amends for last year’s final defeat, where she lost to Azarenka in three sets. It looks a tall order for any of the other contenders to land a significant blow in the women’s draw and that’s why Simona Halep is next in the betting at 14/1 for what is also bubbling up into a cracking tournament and over the next few days we are set for some epic clashes in the blisteringly hot conditions in Australia.